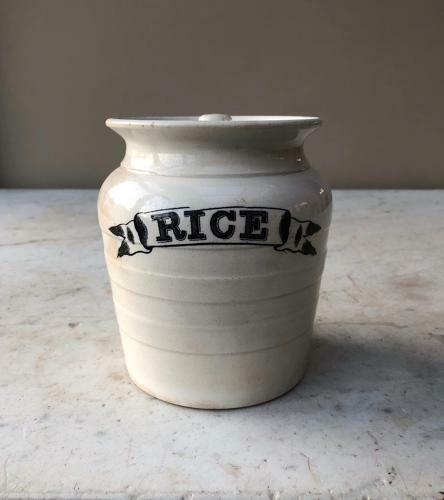 Victorian White Banded Kitchen Storage Jar for RICE with its Original Lid. Good to use or display. One weeny hairline at the top hardly noticeable and a stain to the right hand side.